Every month we scour the island for new shops, hotels, services, and restaurants. Take a look at what’s new this month on Guam. If you’ve been to Tokyo, you may have heard of Mam et Moi. 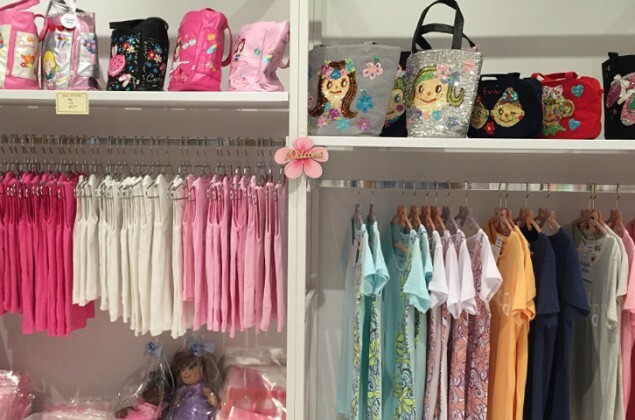 The Plaza in Tumon is now home to the first Guam based store, offering light and fun patterns for mothers, children, and babies. 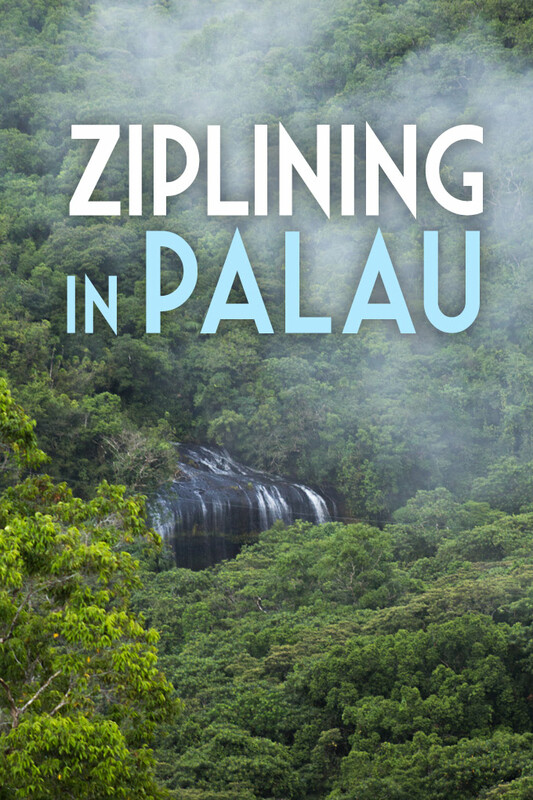 It’s a one-stop shop for the ladies in the family wanting to sport fashionable island wear. The owner even hand picks the styles and pieces from Los Angeles, Hawaii, Bali, and Tokyo, choosing high quality material. Mothers and daughters can even choose matching pieces! There are many accessories including handmade bracelets, woven tote bags, and even soaps and lotions made on Guam. Mam et Moi is open daily from 10:00 a.m. to 11:00 p.m.
Mam et Moi is located at 1225 Pale San Vitores Rd #242 at The Plaza in Tumon on the second floor. Being so close to Japan, it’s no surprise Guam has a new mini grocery store filled with imported goodies — and we’re excited! Tasty treats include snacks, chips, cookies, crackers and candies, along with many chilled beverages to choose from. Japanese spices and condiments are a necessity when trying to create that flavor you’re oh-so craving and this is the spot to find them. You can even expect to find healthy, natural products that are being consumed in Japan. Whether you stop by looking for a certain item or just want to browse, chances are you will probably leave with a fun surprise you didn’t expect. If you don’t read Japanese and are unsure of what the label says, just ask! Descriptions in English are offered and the staff is happy to explain. Japan Market opens at 10:00 a.m. daily and closes at 8:30 p.m. Monday thru Saturday and at 6:30 p.m. on Sunday’s. 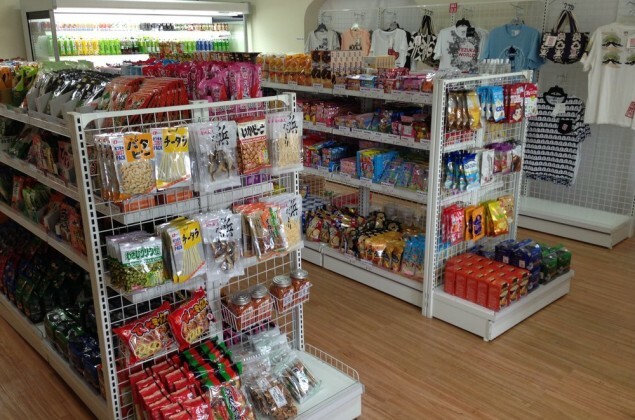 Japan Market is located in Tamuning at 370 Chalan San Antonio Road, Lot 2150-2-7. 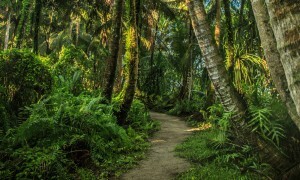 There has been a huge trend recently about using natural, cruelty free, and eco-friendly products on your skin. Lanikai Bath and Body has just that! All ingredients come from Hawai’i, which is where the company originated. 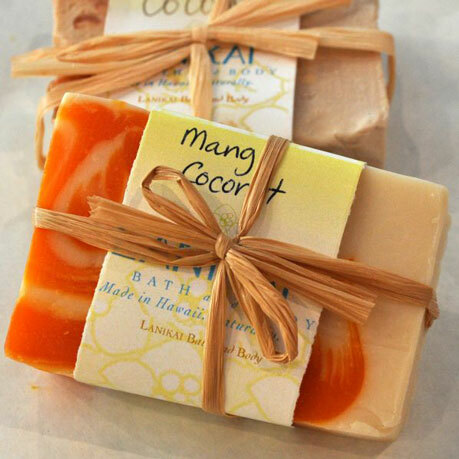 All natural lotions, butters, soaps, washes and more, are made with pure essential oils, distinctive blends of fragrances, and some of the best ingredients nature has to offer, such as shea butter, mango butter, cocoa butter, jojoba, olive oil, soybean oil, and Hawaiian sea salt. The products will leave your skin feeling and smelling good without the use of all those harsh chemicals. 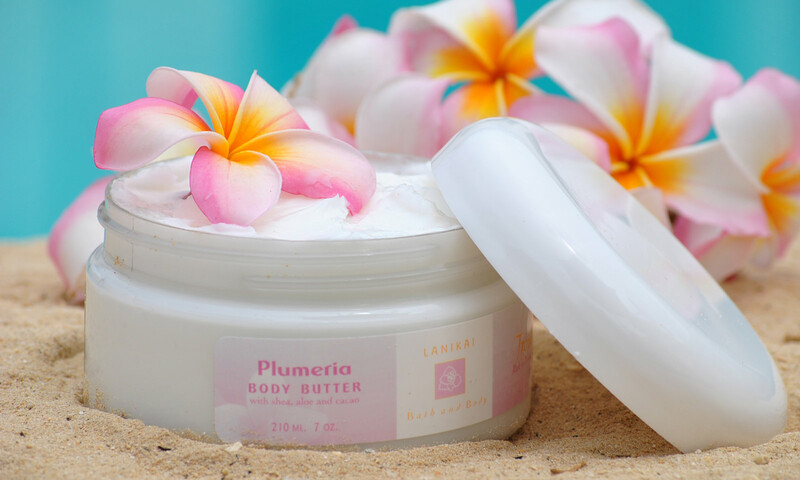 You can visit Lanikai Bath and Body from 10:00 a.m. to 11:00 p.m. daily. Located at 1225 Pale San Vitores Rd #242 at The Plaza in Tumon on the second floor. 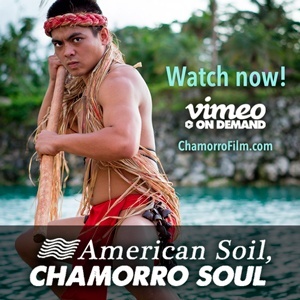 Whether you’re just visiting or live on Guam, eating local Chamorro food is a must. 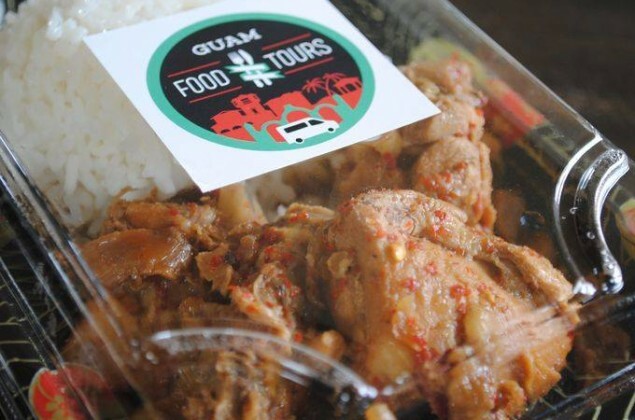 If you’re not sure where to go, Guam Food Tours is there to assist. 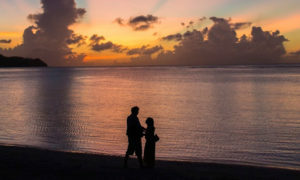 Sign up for the five course, three and a half tour and you will be driven around central Guam to try out local flavors. The guide will even explain the relationship that history played to influence the current day cuisine. Custom tours are also offered if you are looking for a specific type of food – Italian, American, Mediterranean, you name it. Call Guam Food Tours or visit their website today to schedule your food tour. If you’re in the military or are local, be sure to mention it, as discounted rates are available. If you’re looking for some good yakitori (a Japanese style barbeque chicken skewer), this is the place to go. HIDE Yakitori Japanese Restaurant uses bin cho charcoal, traditionally used in Japan. No matter what comes off the grill, it will have a more enriched and tasty flavor. Karaage, wasabi edamame, and nikomi are among many appetizers offered. If you’re looking for something without meat, try the lomi salmon, tuna carppaccio or the fresh poke bowl. Various salads and rice bowls are also on the menu. 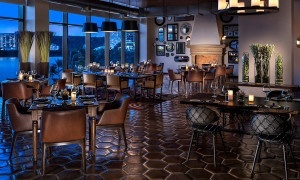 Visit HIDE for lunch between 11:00 a.m. and 2:00 p.m. or for dinner between 5:00 p.m. and 11:00 p.m. They are closed on Sunday’s. 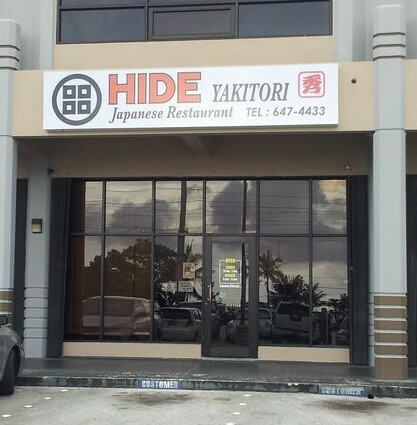 HIDE is located at 888 N Marine Corps Dr. Ste 125 in Upper Tumon in the Star Building.